U of S President Peter Stoicheff speaking at today's official opening of the Gordon Oakes Redbear Student Centre. As the doors of the Gordon Oakes Red Bear Student Centre officially opened today, a decade-long chapter of planning, designing and construction closed at the University of Saskatchewan (U of S). The grand opening brought dignitaries and Aboriginal leaders to the U of S campus, including National Chief of the Assembly of First Nations of Canada, Perry Bellegarde, as well as members of the Oakes family after which the centre is named. 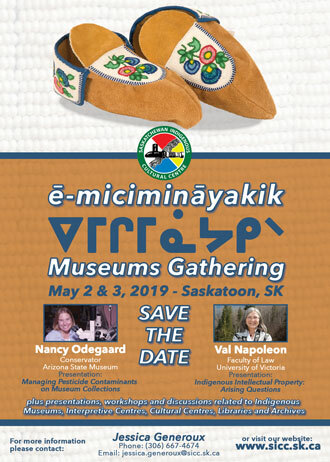 The celebrations included an intimate pipe ceremony and a performance by Juno award-winning musician Susan Aglukark, along with a number of speakers. Check out photos from the Official Grand Opening here. "I welcome the opening of the centre as it sends a strong signal of openness and support to Aboriginal students," said Chancellor Blaine Favel, a graduate of the U of S Indian Teacher Education Program. "I believe it will enrich their individual student experience and also contribute to a broader campus-wide reconciliation with First Nations and Métis people. The passion of the late Gordon Oakes was that First Nations people retain their distinctiveness in languages and spirituality, I believe he would be humbled by this honour but pleased that the U of S is making such a strong commitment to his vision. He was a beloved man, with a timeless message of hope and optimism that First Nations and Canadians can co-exist in harmony and prosper together." According to Statistics Canada, in the next two decades, one in five people in Saskatchewan will be First Nations, Métis or Inuit. U of S President Peter Stoicheff said this centre is part of the momentum "building across Canada to help fundamentally alter and improve the relationship between Aboriginal and non-Aboriginal peoples. Educational institutions such as the U of S have a significant role to play in this, and this new centre will demonstrate in a very real way to current and potential Aboriginal students that they are welcome here—that this is their campus, too." "Health, happiness and prosperity are universal goals, and education is key to achieving them," said Stoicheff. "In the fall, the U of S, along with all other post-secondary institutions in Saskatchewan, committed to working together to close the education gap between Aboriginal and non-Aboriginal peoples. We must act on the educational disparities that exist in our society, and the activity that goes on as a part of the life of this centre will be one of our main ways of doing this." The centre is designed to be an inclusive, welcoming gathering place for everyone on campus and is the new home of the Aboriginal Students' Centre, which offers supports to encourage the personal and academic success of students. "I think that this is the most heartwarming thing to see; that the student body as a whole wants to see this happen," said Jack Saddleback, president of the University of Saskatchewan Students' Union, and member of the Samson Cree Nation. "We're showcasing the history of this land, we're showcasing the people who have been here for generations and we're also giving hope to those generations to come where they are going to see themselves in these academies. They are going to see themselves in universities and they are going to feel that much more confident in coming here compared to years before." "Gordon Oakes built bridges between cultures throughout his distinguished career as a leader," said Scott Moe, Saskatchewan minister of advanced education. "I'm confident the student centre that bears his name will continue that great tradition of respect and inclusion." To celebrate the opening of the centre, the U of S is hosting a series of events from Feb. 3 to 5, to be followed by the university's annual Aboriginal Achievement Week from Feb. 8 to 12. Pictures of the grand opening will be uploaded to the university's Gordon Oakes Red Bear Student Centre photo album.